CompTIA Security+ certification is an internationally-recognized, vendor-neutral certification for network security. Through this network security course, students will learn security concepts, and tools to help them react to security incidents. More importantly, students will learn how to anticipate security risks and defend against network security attacks.CompTIA Security+ validates knowledge of communication security, infrastructure security, cryptography, operational security, and general security concepts. This practical hands-on 5-day course will teach students the fundamental principles of installing and configuring computer and network security systems. 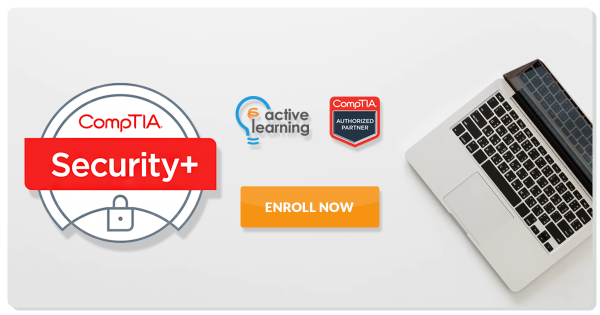 This course is intended for students wishing to qualify with CompTIA Security+. The qualification is aimed primarily at networking professionals, but because security is vital to all levels and job roles within an organization, it will also benefit PC support analysts, application developers, and senior managers in accounting, sales, product development, and marketing. Basic network terminology (such as OSI Model, Topology, Ethernet, TCP/IP). TCP/IP addressing, core protocols, and troubleshooting tools. "The instructor was very generous in providing us any information regarding the topics we have discussed. He was able to impart his knowledge to us and answered all our questions. I liked his way of teaching because he was able to provide actual examples." "The instructor is knowledgeable about the course and made the student learned by stating examples through experience. Will recommend the course to others and most of all the instructor."